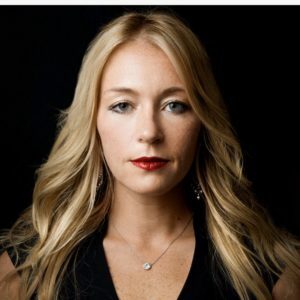 Brynne S. Kennedy Archives - Joelle Delbourgo Associates, Inc.
Brynne S. Kennedy is the CEO and Founder of Topia, the software suite that companies use to move employees between roles and locations. Brynne is also the Founder of The Other 1%, a non-profit that supports displaced people and equality, and CEO & Founder of MoveGuides. Brynne’s first book, FLAT, FLUID & FAST, about the “talent mobility revolution,” will be published by McGraw-Hill in September 2019. Brynne is recognized globally as a leading entrepreneur and expert on the Future of Work. She has appeared on Bloomberg and CNBC, taught at Stanford Graduate School of Business and presented to the US Senate, US House of Representatives and State Legislators throughout the nation. Brynne has won Entrepreneur of the Year in the Women in IT Awards, Women of the Future Awards and Stevie Awards, as well as London Business School’s Distinguished Alumni Award and Worldwide ERC’s Meritorious Service Award. Brynne is a member of TechNet, which supports government policies for the Future of Work and innovation economy, and ReadyNation, which supports funding ofr the 2020 Census. Brynne speaks four languages, and holds an MBA from London Business School and BA in History from Yale University, where she competed in Division One collegiate gymnastics and won two Ivy League Gymnastics Championships. Brynne was an elite gymnast for the United State growing up.